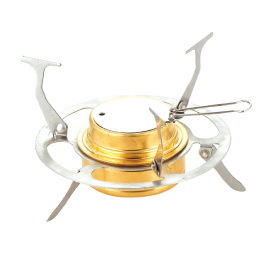 The Alocs spirit burner and stand is a great addition to a lightweight pot or cup. The stand can support any pot with a width more than 110mm. 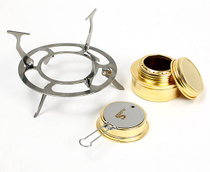 The Alocs Spirit burner comes complete with an adjustable wide burner base, simmer lid with new design feature and “O” ring sealed lid. 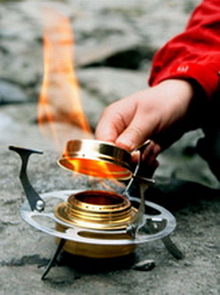 The burner will burn Methelated spirits which is a great cheap method to run such a stove. It has widely-spaced legs and gripping pot supports for stability on uneven terrain.